Her teaching and treating philosophy is to combine Yoga and Physical Therapy to provide patients and clients with relief from pain, knowledge about their body, posture reconditioning, and a healthy way to attain and maintain muscular and joint health, physical fitness, strength, and flexibility. She is driven by addressing injury by looking at the whole body and mind for the root cause of pain or discomfort and treating that root using mindfulness, breath and precise alignment. Diana received her bachelor’s degree in Biology from American University, her Masters in Physical Therapy at Hunter College and has attended numerous post-graduate continuing education courses. She enjoys teaching about Yoga and Physical therapy and has been an adjunct professor and researcher at Hunter College and Columbia University. Helen is a specialist physiotherapist in movement analysis and dysfunction. She grew up on her mother's yoga mat and started a regular Ashtanga practice age 19. Since then she has practised and studied intensively with teachers from around the globe in Whistler, Vancouver, Rishikesh and London including Kristen Campbell, Meghan Currie and Christine Price Clark. She completed her YTT(200hr) in 2009 with Julia McCabe. Her journey through Ashtanga, Bikram, Vinyasa and Anusara styles of yoga have allowed her to develop a unique system of assessment and teaching that incorporates her knowledge as a physio with the complexities of yoga alignment and practice. Helen completed a Bachelors degree in Human Movement Science from Liverpool University in 2000 and received a First Class honours degree in Physiotherapy from Salford University in 2004. A passion for adventure and a love of mountain sports led her to the Canadian mountain town of Whistler, where for 6 years she lived, skied, worked and learnt from some of the best therapists in the country. She completed a Post-Graduate Diploma in Manual and Manipulative Therapy in 2007. Emily is a mother, physical therapist, yoga teacher, anatomy teacher and lover of the human body. A licensed physical therapist for 13 years, she has practiced physical therapy in a variety of settings, including The Hospital for Special Surgery. Through her 15 year yoga journey, she has explored many styles of yoga. Emily unites the practices of yoga and physical therapy to provide an integrated treatment and teaching approach. She teaches the anatomy requirements for multiple teacher training programs, as well as anatomy and alignment infused yoga workshops. Emily is passionate about teaching and has taught in academic, professional, and community outreach settings. She received her Master’s Degree in Physical Therapy from Springfield College, Doctorate in Physical Therapy from Temple University and served as an adjunct professor for Hunter College. She has completed both Vinyasa and Restorative teacher training programs. Cara is an avid runner, dog lover, a board-certified clinical specialist in Orthopedics and has been a licensed physical therapist since 2007. She is a clinical supervisor at the Hospital for Special Surgery in NYC. Cara was introduced to yoga in 2010 and fell in love. She was fascinated by the ease of how yoga teachers could cue their students to move their bodies. She completed her yoga teacher training at Kula Yoga Project in early 2015. She continues to utilize yoga to better assist and teach her patients in her physical therapy practice. Cara is a self-proclaimed anatomy nerd. She graduated from Boston University with a Doctorate in Physical Therapy. She is currently working on her manual therapy certification. After years of dance, yoga, and both stress & trauma related physical injuries, Giulia realized that her own practice and teaching needed something more functional and contemporary than the traditional way she was practicing asana & vinyasa. This brought her to Threes Physiyoga, a method that merges physical therapy practices with yoga. This meshing of both eastern and western methods of moving, breathing, and healing helped her to discover not only her imbalances and strengths, but brought to light the way in which she sees and understand the body’s mechanics and the movement of her students. Yoga, like any other sport, has the ability to create stress related injuries because of the repetition of the movement and alignment in the practice. The body’s tissues do well with change and variation, an important concept to consider when developing any kind of movement practice. As a Physiyoga teacher, Giulia's group classes and workshops combine corrective exercises and knowledge from the physical therapy world with and around asana, to not only challenge the ways in which we move, but to shed light on how we can create more efficiency and clarity in our individual mechanics, as well as heal and prevent some future injuries and pains. As a competitive gymnast since an early age, Brian has always been consumed with the body’s ability to create shapes. This passion led to further study of anatomy & physiology, functional movement, injury and rehabilitation earning a Masters Degree in Physical Therapy at Springfield College. In 2001, Brian discovered Yoga. He immediately became enamoured by the deeply transformative and therapeutic qualities of the practice. Brian has studied Ashtanga Vinyasa, Iyengar, Anusara, Jivamukti and Hatha lineages. Brian’s formal yoga training includes Axis Yoga and Kindness Yoga in Denver, Colorado as well as The Threes PhysiYoga Method Advanced YTT. 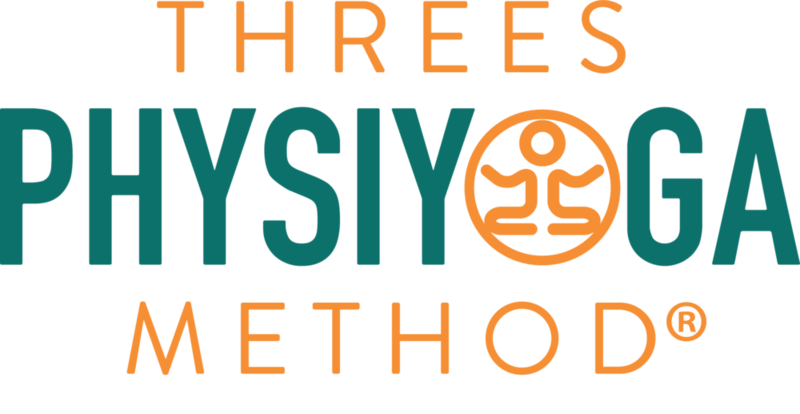 Brian is the founder of The PhysiYoga Project in Denver, Colorado; a healing space and private practice dedicated to the implementation of PhysiYoga as a means of re-balancing the whole person: Spirit, Mind & Body. He also teaches alignment based group yoga classes, workshops and Yoga Anatomy in Yoga Teacher Training Programs. Deb is a loyal Philadelphia sports fan and resides in the Western Philly suburbs with her husband and three sport loving boys. She has practiced Physical Therapy at the Hospital for Special Surgery and the Children’s Hospital of Philadelphia, specializing in adolescent sports medicine. Deb has also work in both the public school system in the Early Intervention program in the Philadelphia area. She completed her clinical doctorate in Physical Therapy from NYU in 2004. Deb is a clinical supervisor at Widner University’s student run pro bono clinic. Deb is passionate about bringing health and wellness resources to her clients and community. She has completed advocacy training through the Temple Institute of Disabilities. Deb’s clinical practice has been influenced by physical therapist, Shirley Sarhmann, utilizing movement-based evaluation and treatment. Deb has merged her movement assessment and treatment with her yoga incorporating breath work and asana into her clinical practice. Introduced to Yoga at Cindy Lee’s Om in New York City over 10 years ago, She has explored many different yoga styles and teachers in NY and Philadelphia. Yoga has influenced Deb to integrate breathing, awareness, alignment and movement with her clients of all ages. She is currently completing 250 hour yoga teacher training at Yoga Life Institute in Classical yoga..